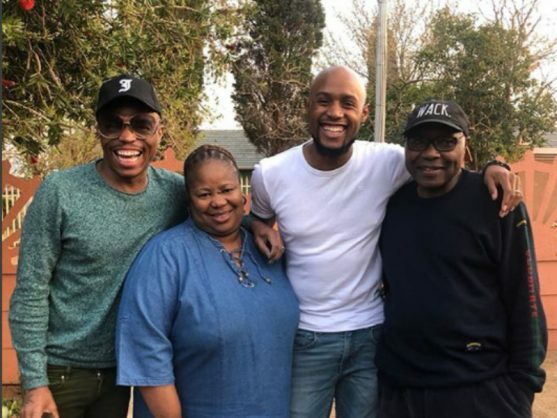 Somizi Mhlongo spends the day with Motaung’s family, saying to the “for such a warm welcome and love”. It’s about time Somizi had a good day. Between reports that the SA Idols star recently saw a lot of his possessions come under the hammer for an alleged unpaid tax bill to SARS, a friend being hijacked in his Mercedes and lodging two complaints with the SA Human Rights Commission over offensive social media posts, it’s not like Somizi’s had much to smile about recently. So it’s nice to see the famous choreographer grinning as he met his in-laws to be. In a post on Instagram, Somizi seems to have confirmed what he’d said all along about his engagement to Mohale Motuang – that he wants it to be short – and got the ball rolling by meeting his bae’s family.